Pier 124 was a former Conrail Coal chute before they moved operations to Delaware. 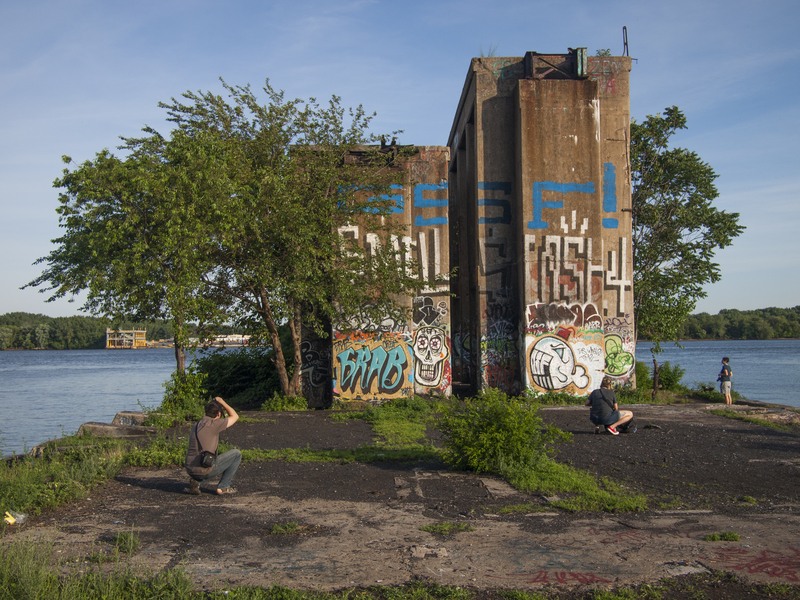 The pier has been abandoned since 1991, making it the perfect canvas for graffiti artists, 16 June 2014. 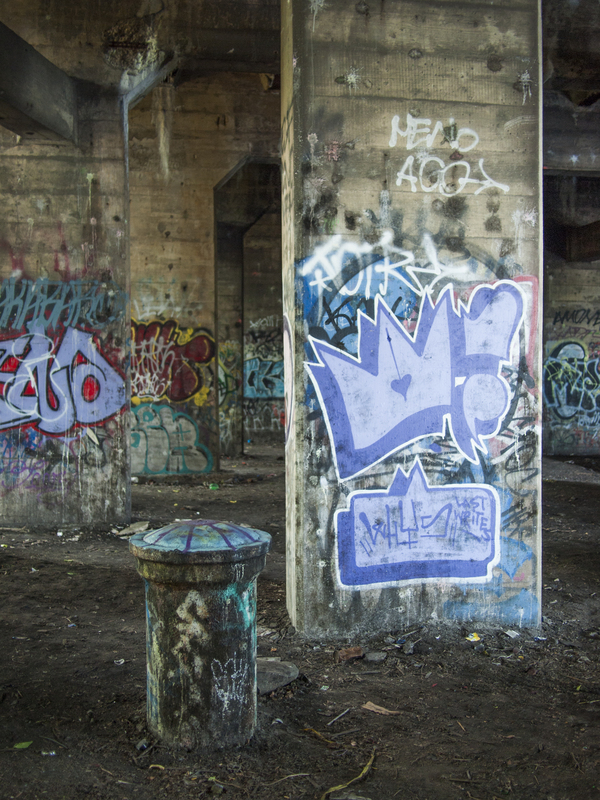 Under the concrete pillars of the coal chute, purple graffiti pops in the early evening light, 16 June 2014. 17 Jun	This entry was published on June 17, 2014 at 7:48 am. It’s filed under Architecture, Fishtown, Historic Preservation, Philly Signage and tagged #CityLovePHL. Bookmark the permalink. Follow any comments here with the RSS feed for this post.